Coolvetica is a scratch built, sans serif font, based on an American chain store logos circa 1970. This was an era where everyone was modifying Helvetica. Not only for logo designs but even font designers were at it. The Photo Lettering Inc. catalog was loaded with playful helvariations. Even Letraset chimed in with Shatter, Formula One & Isometric. Coolvetica recreates that 1970s custom display lettering look with really tight kerning and funky curls. The tails on the R and a have been left out to allow even tighter spacing. This is not a text font. Coolvetica is a pure display font, intended for big, funky headings and titles. The 1999 version of Coolvetica had a G with a swash tail. The current version still contains a swash G, but its accessed as a stylistic alternate in OpenType savvy applications. Coolvetica has math symbols, fractions and numeric ordinals. Almost all current Latin alphabet based languages are supported as well as Greek and Cyrillic. 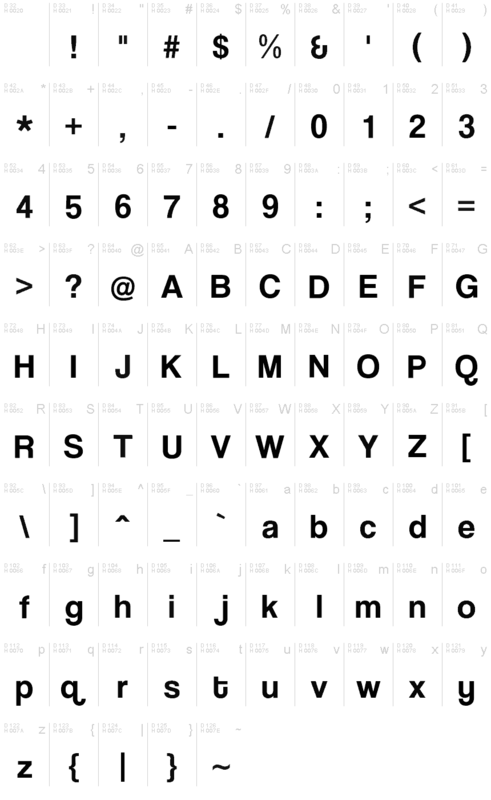 This free font is part of a larger font family. Check out the rest of the family through the link above. Por favor, usa el menú desplegable para ver los diferentes mapas de caracteres que contiene esta fuente. Coolvetica is a trademark of Typodermic Fonts Inc.